From drag to road racing since the 80s, our need for speed was our hobby of choice... until we found the off-road world. In the summer of 2011 we made our first rock crawler purchase and found ourselves wheeling every chance we had. Then we were introduced into off-road racing and since then have been gradually growing further into the sport. 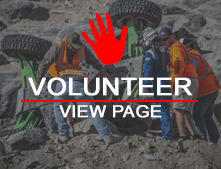 In 2013 modifications to our crawler soon made us a familiar face in the DirtRiot Central Series where we ended our season in 1st place mod-trail. In January 2014 our new 4400 moon buggy was now on the prowl. After hitting six DirtRiot races the need for a faster car was obvious. To our surprise, a new car drifted onto the market meeting all of our requirements in August of 2014. The car was soon exceeding our expectations enabling us to capture more finishes and eventually wining the 2014 DirtRiot Nationals Points.